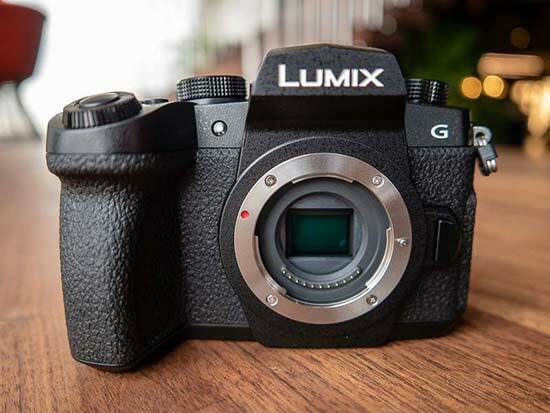 Panasonic have tweaked the design of the Lumix G90, which offers a slightly different control layout to its predecessor, taking several design cues from the flagship G9 model. The G90 has been designed so that it can be used one-handed, important for Vloggers, with the button layout and chunky grip specially configured. 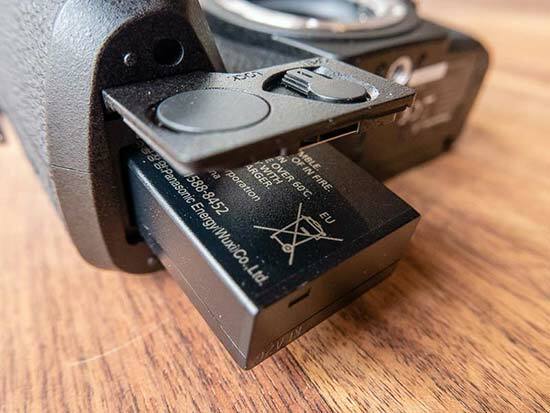 The G90 has inherited the three WB / ISO / EV buttons found on top of the G9, next to the shutter release button, a welcome addition that makes it a lot easier to change these key creative controls. Also the G9's rear scroll wheel has been implemented in place of the G85's more traditional D-pad, while the G90 also greatly benefits from having not one, but two control dials, both of which can be customised. 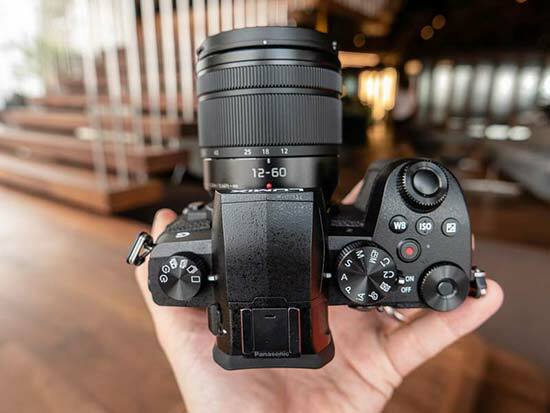 The G9's AF joystick hasn't trickled down to the G90 though, something of a missed opportunity which is offered by one of the G90's main rivals, the Fuji X-T30. There is now a new 3.5mm headphone socket, something that was missing on the previous G80 model and which will again be music to the ears (excuse the pun) of videographers. The G90 has a dust and splash resistant design thanks to the magnesium alloy front frame and internal weather sealing. The Lumix G90 has a very similar 20 megapixel sensor to the G9 (although they're not actually the same) and the two cameras share the same Venus Engine processor too, so expect to see very similar image quality from the Lumix G90 to the G9, which is certainly no bad thing. We'd expect Panasonic to adopt a 20 megapixel sensor for all their future G-series cameras, bringing the venerable 16 megapixel sensor to an end. The Lumix G90's highest native ISO speed is 25,600, just like the G9, and the lowest setting is ISO 200, which can be expanded to ISO 100. 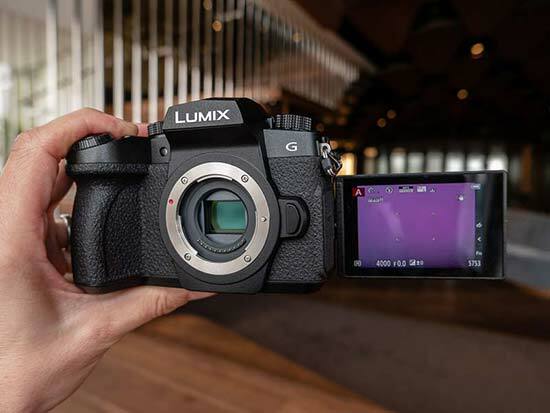 Another feature inherited from further up the G-series range is Panasonic's DFD contrast detection system, which the company claims results in a fast auto-focus response time of 0.07secs on the G90. The camera also supports the now compulsory Eye AF, with the ability to switch between eyes, although the lack of an AF joystick is a missing feature that some other rival cameras offer, most notably the new Fujifilm X-T30. 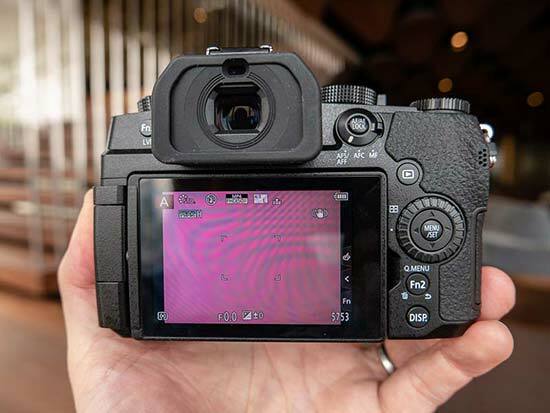 As with other Panasonic cameras with touchscreens, the G90 offers both Touch AF and Touch Shutter functions, which somewhat mitigates the lack of an AF joystick (but not entirely). The G90 inherits the same 5-axis Dual IS system from the G9, which provides a healthy 5 stops of stabilisation, making the camera very usable in low-light, especially as it can focus down to -4EV. The Panasonic Lumix G90 has a large OLED viewfinder with 2.36-million-dot resolution, 100% field of view and 0.74x magnification. There's a 3-inch touchscreen free-angle display on the rear with 1.04-million-dot resolution, which can be flipped out to the side and rotated to face forwards, making it ideal for shooting from more unusual angles and also for vlogging. The Lumix G90 can shoot at 6fps in AF-C mode or 9fps in AF-S mode for up to 30 Raw or 600 JPEG images in a single burst, respectable rather than class-leading. 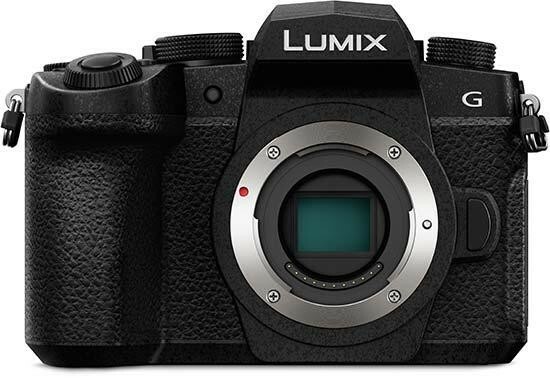 The Panasonic G90 is capable of shooting 4K video (3840x2160 pixels) at frame rates of 30p/25p/24p for an unlimited amount of time at 4:2.2 8-bit quality to an external HDMI recorder or 4:2.0 8-bit to the UHS-II SD card. Full 1080p recording is also available up to 60fps, and there's up to 4x slow-motion recording too in Full HD quality. 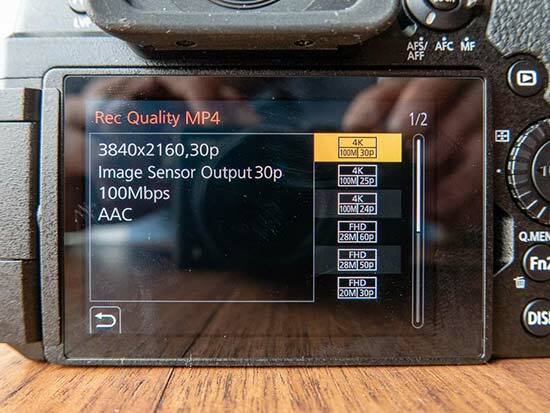 The VLog L profile is included, which is actually a paid upgrade for the more expensive GH5 camera, and not available at all on the Lumix G9. It provides a very flat profile with an impressive 12 stops of dynamic range that's perfect for grading in post-production. Olympus users have enjoyed this feature for many years - now for the very first time it's making its debut on a Panasonic camera, giving you the ability to view a long exposure in real time on the LCD screen and the power to stop it when you think it's perfect. 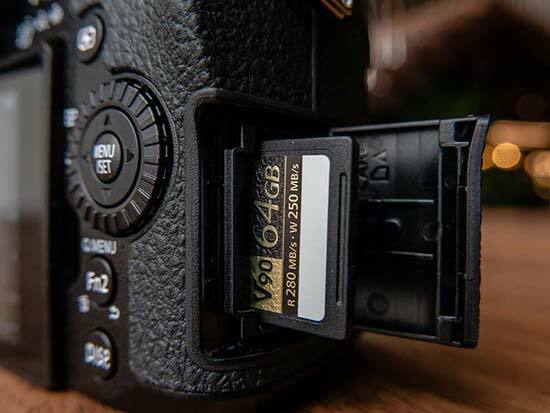 The new camera features a single UHS-II memory card slot, unlike the more expensive Lumix G9 model which has dual card slots. The Lumix G90 provides a CIPA rated life of 290 shots, which isn't anything to write home about, but this can be boosted to a much more impressive 1,000 shots using the clever Power Save mode. 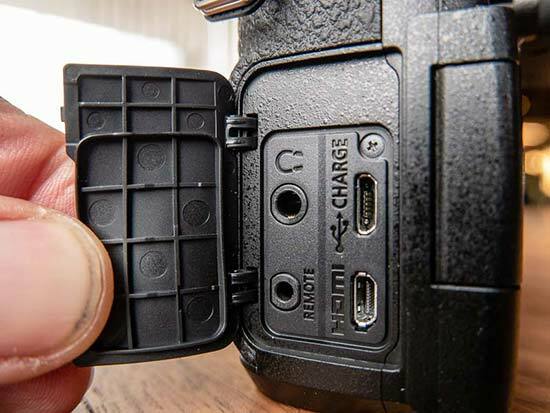 You can also recharge the camera via its Micro USB port, as well as using the supplied charger, and the same Battery Grip (DMW-BGG1) that's used by the previous G80 model is also compatible with the G90, so there's lots of ways to charge the G90. The Panasonic Lumix G90 will be available in Black from June 2019. 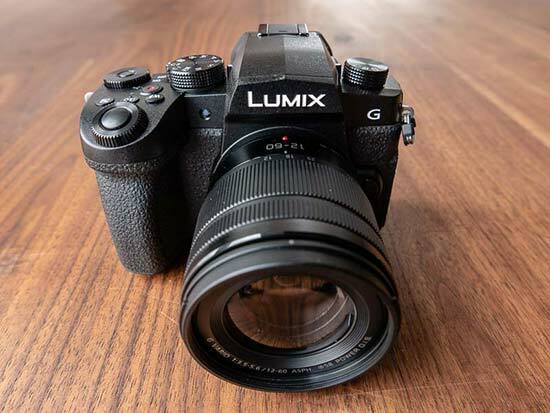 The new Panasonic Lumix G90 offers quite a lot of the key features of the flagship G9 in a more portable and more affordable package - this is a camera designed to appeal to both stills photographers and videographers alike. It upgrades the previous G80/G85 model (which still carries on in the range) in quite a lot of ways, resulting in a more full-featured camera that's easier to use, so if you're a fan of the G80, you'll definitely want to take a good look at this new version.